Mike acted on behalf of National Olympic Committees at three of the last four Olympic Games and has represented other sports bodies, clubs and high profile athletes in proceedings before the High Court, the FIFA Dispute Resolution Chamber, the American Arbitration Association and the Court of Arbitration for Sport. According to the World Anti-Doping Agency (“WADA”), the 2015 World Anti-Doping Agency Code (the “2015 Code”), which came into effect on 1 January 2015, is a “stronger, more robust tool that will protect the rights of the clean athletes”. Among the key themes of the revised Code, is the promise of “longer periods of Ineligibility for real cheats, and more flexibility in sanctioning in other specific circumstances”. While Article 10 of the 2015 Code unquestionably provides for longer periods of ineligibility, the validity of WADA’s claim that the harsher sanctions will be reserved for “real cheats” depends partly on how one defines the term “real cheat”, and partly on how the 2015 Code’s mechanisms for reducing sanctions are to be interpreted. This blog reflects on the totality of the context from which the current sanctions regime arose. That is important because Article 10 will have to be applied in a manner consistent with that context in mind if the 2015 Code is to become the tool promised by WADA and if it is to avoid the scrutiny of the courts. In the lead up to the adoption of the first version of the WADA Code (the “2003 Code”), there was considerable debate as to what length of sanction could lawfully be imposed on an athlete for a first violation. 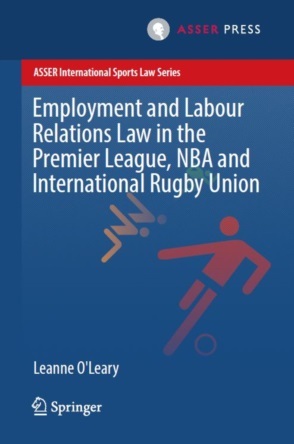 (a) The Regional Court held that a two-year suspension imposed on an athlete for a first offence “represents the highest threshold admissible under fundamental rights and democratic principles”. (b) The High Regional Court held that the three-year ban imposed by the IAAF “was excessive in respect of its objective. Such a rigid disciplinary measure as a sanction for a first sports offence is inappropriate and disproportionate”. And so it came to pass that a first violation under Article 10.2 of the 2003 Code would be punished with a two-year sanction. Various legal opinions procured by WADA between 2003 and 2008 affirmed the position that a two-year sanction for a first violation (1) was a significant incursion on the rights of the individual affected; and (2) was likely the limit of the severity that could be imposed in the absence of aggravating circumstances. The 2003 Code proved somewhat inflexible, which resulted in two-year bans for unintentional and minor anti-doping rule violations. One of the starkest examples of that inflexibility arose in CAS OG 04/003 Torri Edwards v IAAF & USATF. Edwards had consumed glucose powder that, unbeknownst to her, contained the stimulant nikethamide. A two-year ban was imposed on her on the basis that she could not meet the thresholds for “No Fault” and “No Significant Fault” and despite the fact that she had, in the words of the CAS panel, “conducted herself with honesty, integrity and character, and that she has not sought to gain any improper advantage or to ‘cheat’ in any way”. I asked Torri Edwards whether she would allow me to use her case as an example of the importance of making some sort of differentiation between those weak stimulants that you can get over the counter by accident, carelessness, negligence or whatever. We are not after those who are negligent. The IAAF wishes to see strong penalties for real cheats. This was a different case, […] I did not feel comfortable when I had to defend the then-existing rules against her at the CAS hearing in Athens. Four years later, WADA went one step further and, with the introduction of the 2009 version of the WADA Code (the “2009 Code”), broadened the list of substances that would be categorised as Specified Substances, promising “lessened sanctions….where the athlete can establish that the substance involved was not intended to enhance performance” under Article 10.4. The aim was to avoid the likes of the Edwards case. Indeed, a number of cases determined under the 2009 Code which involved the same glucose brand that had landed Edwards with a two-year ban in 2004, resulted in periods of ineligibility ranging between 0 – 6 months. The primary themes of the 2009 Code were, according to WADA, “firmness and fairness”. “Fairness” was to be reflected by the broadening of the Specified Substance list, while “firmness” was intended to manifest itself through the concept of “aggravating circumstances” . The presence of “aggravated circumstances” permitted Anti-Doping Organizations (“ADOs”) to increase periods of ineligibility beyond the standard two-year ban up to a maximum of four years. 91. […] it is clear that the intention to enhance performance is not in and-of-itself an aggravating circumstance. 92. […] This provision makes it clear that cheating is an important element of the notion of aggravating circumstances. However, the mere fact of cheating alone is not sufficient. Additional elements are required. Not only, therefore, was actual cheating required to invoke the provision but there needed to be something more than the mere fact of cheating. Examples provided by the 2009 Code included being part of a doping scheme or using multiple prohibited substances. 138. […] one should bear in mind that a four-year ban would most often put an end to an athlete’s (high level) career and thus be tantamount to a life ban. Therefore, an aggravated first offence could de facto be punished as harshly as numerous second offences (Article 10.7.1) and almost all third offences (Article 10.7.3). The principle of proportionality plays an important role in the determination of sanctions applicable in doping matters. 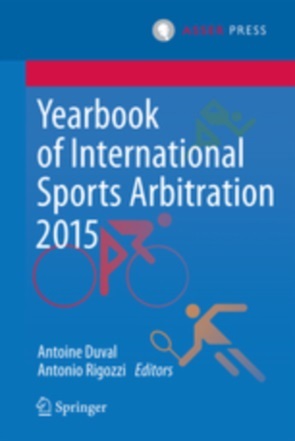 The principle pervades Swiss law, EU law and general principles of (sports) law. The CAS itself has consistently measured sanctions imposed on athletes against the principle of proportionality both before the inception of the WADA Code and since. (a) Pre-WADA Code: the anti-doping rules of many sports prior to the creation of the WADA Code mandated fixed sanctions without the possibility of reductions. The CAS nevertheless sometimes reduced these sanctions on the basis they were not proportionate. 10.24 […] the Panel holds that the mere adoption of the WADA Code […] by a respective Federation does not force the conclusion that there is no other possibility for greater or less reduction a sanction than allowed by DC 10.5. The mere fact that regulations of a sport federation derive from the World Anti-Doping Code does not change the nature of these rules. They are still – like before – regulations of an association which cannot (directly or indirectly) replace fundamental and general legal principles like the doctrine of proportionality a priori for every thinkable case. Though the 2015 Code asserts that it “has been drafted giving consideration to the principles of proportionality and human rights”, that obviously does not mean that proportionality no longer plays a part in the assessment of sanctions for the same reasons propounded by the CAS in Squizzato. Indeed, the 2015 Code itself recognises that it “is intended to be applied in a manner which respects the principles of proportionality and human rights”. Moreover, the most recent CAS decisions in which the principle of proportionality was applied concerned the sanctioning regimes of the 2003 and 2009 Code, both of which mandated default sanctions of two years, not four years. The principle of proportionality is, therefore, arguably even more relevant now than it previously was. Elements of this violation previously formed part of the “Administration or Attempted Administration” violation. This violation did not exist under the 2009 Code. Athletes accused of committing a violation under Articles 2.1, 2.2, 2.3 or 2.6 are now in a position in which they are required to meet the Article 10.2 thresholds regarding “intent” simply to get them back to the two-year default sanctions that would have applied under previous versions of the Code. If the 2015 Code is to become the tool promised by WADA and if it is to avoid or survive legal challenges, tribunals will need to ensure that their interpretations of the reduction mechanisms, such as those contained at Article 10.2, do not result in disproportionate sanctions. The final sentence emphasised above is, arguably, open to interpretation. However, the first line identifies the overarching aim of the provision – i.e. “the term ‘intentional’ is meant to identify those athletes who cheat”. According to the Oxford Dictionary, a “cheat” is a “person who behaves dishonestly in order to gain an advantage” and the act of “cheating” amounts to “a fraud or deception”. A reasonable inference, therefore, is that athletes who “cheat” are athletes who have acted knowingly and dishonestly to gain an unfair advantage. Article 10.2 cannot, therefore, be intended to punish careless athletes. Bearing in mind the limits pronounced by the courts in Krabbe and bearing in mind the “justifiable aim”, any interpretation of the provision that would result in a four-year ban for nothing more than careless – or even reckless, but otherwise honest - conduct would risk inviting the sort of scrutiny exercised by the German courts in the Pechstein and Krabbe cases. Likewise, the interpretation of the other reduction mechanisms, such as Article 10.5 (“No Significant Fault or Negligence”), will require the same degree of pragmatism. If the parameters for “No Significant Fault” were to be applied as strictly today as they were in the Edwards case, anti-doping would end up right back to where it was in 2004, when the Code’s sanctioning regime was perceived to be so inflexible that it had to be overhauled in 2009. Assuming that the aim of the 2015 Code is not to take 11 years’ worth of backward steps, tribunals will have to ensure that “No Significant Fault” is interpreted in a manner that fulfils WADA’s promise of “greater flexibility”, particularly in cases involving Specified Substances and Contaminated Products. The 2015 Code has the potential to become the fairest WADA Code to date. However, it also has the potential to be the cruelest. Interpreting it in a manner consistent with the totality of the context from which it was conceived is the surest way to ensure that the right version prevails.